New Delhi: Virat Kohli is at the top of his game but he must get his other batters to perform if he is to grab the crowning glory of India's first Test series victory in Australia. Kohli, 30, has led India's batting charge with admirable consistency across all three formats as he tops the International Cricket Council (ICC) rankings in Test and one-day internationals. Dubbed "King Kohli" by the Indian media, the star batsman and India skipper has accumulated 1,063 runs in 18 Test innings this year, number one ahead of England skipper Joe Root (948 runs, 24 innings). But as series defeats in South Africa and England this year showed, Kohli piling on the runs will be no guarantee of victory when the four-Test series starts on Thursday in Adelaide. Kohli made 286 in three South Africa Tests but India lost the series 2-1 while the world's top Test side went down to England 4-1 despite the captain's 593 runs in five matches. "Apart from Kohli himself no other batsman is making runs. So one man's show is not likely to win you a series overseas," veteran sports journalist Ayaz Memon told AFP. "Barring the one at Lord's (where India lost by an innings and 159 runs) most of the matches that we have lost they actually have got themselves in a winning position and squandered it. "Kohli's challenge is to get the best out of his batsmen and seize the winning moments which India has failed to latch on to," he added. Memon said that Australia are weakened by the absence of top stars Steve Smith and David Warner, but that may also make Kohli's task harder. "With Smith and Warner not being there the pressure of winning will be that much more on Kohli. If you can't beat an Australia without Smith and Warner then who you will beat?" Memon told AFP. "So this is his opportunity, because the next cycle of overseas matches will come after a couple of years and who knows what happens in that much time," he said. India started the key Australia tour with a loss in the first Twenty20 on November 21 but went on to level the three-match series after the second game was rained off and they won the final match. But it is the five-day format that Kohli and India are looking to conquer, with India never having won a series in Australia in more than 70 years of trying. India's dismal record Down Under, which started with a crushing series loss to Don Bradman's side in 1948, is just five wins in 44 Tests. 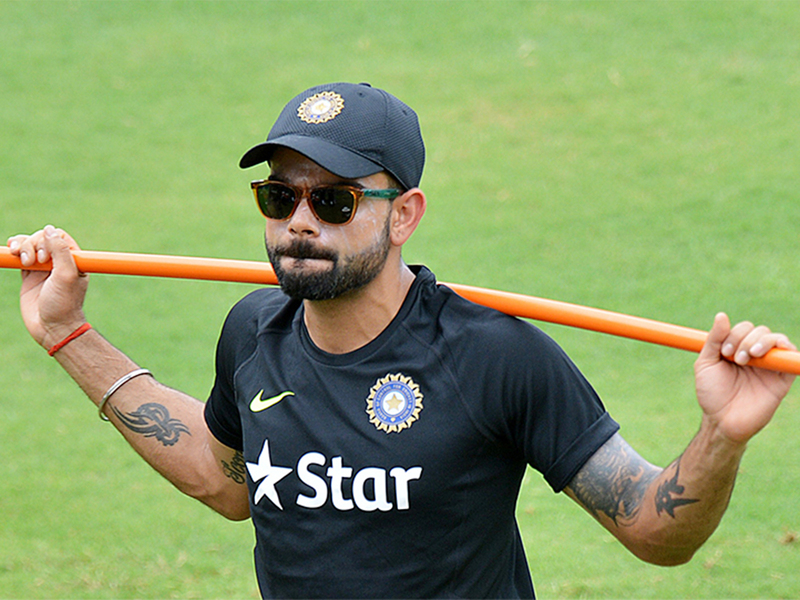 Kohli is confident that now is the time to buck that trend. "Looking at how much experience we have gained in the four years since we have last been here, and how the team has played, we definitely feel we have what it takes to win Test matches away from home," he said in an interview with Macquarie Radio. "And, hopefully, this time around, a full series," said Kohli, who recently became the fastest to reach 10,000 runs in ODIs, surpassing India legend and former captain Sachin Tendulkar. However Australia batsman Travis Head is confident the pace trio of Mitchell Starc, Josh Hazlewood and Pat Cummins will keep Kohli in check. Kohli led his team's batting in the 2014 series in Australia, amassing 692 runs in four matches despite India losing 2-0. "Hopefully the boys get him under control," said Head. "We know he's a good player, I've seen it first-hand at Bengaluru. He's an extremely good player, but I think we've got the bowlers to do the job. "They're one of the best bowling units in the world. It's going to be an exciting battle, hopefully we'll come out on top," he added. Squad - Aaron Finch, Marcus Harris, Usman Khawaja, Shaun Marsh, Peter Handscomb, Travis Head, Mitchell Marsh, Tim Paine (captain), Pat Cummins, Mitchell Starc, Josh Hazlewood, Nathan Lyon, Chris Tremain, Peter Siddle. Squad - Virat Kohli (captain), Murali Vijay, Lokesh Rahul, Prithvi Shaw, Cheteshwar Pujara, Ajinkya Rahane, Hanuma Vihari, Rohit Sharma, Rishabh Pant, Parthiv Patel, Ravichandran Ashwin, Ravindra Jadeja, Kuldeep Yadav, Mohammed Shami, Ishant Sharma, Umesh Yadav, Jasprit Bumrah, Bhuvneshwar Kumar.